Where can you find true leadership these days around the world? Nowhere but the most remote and maybe unexpected place on the globe: New Zealand. 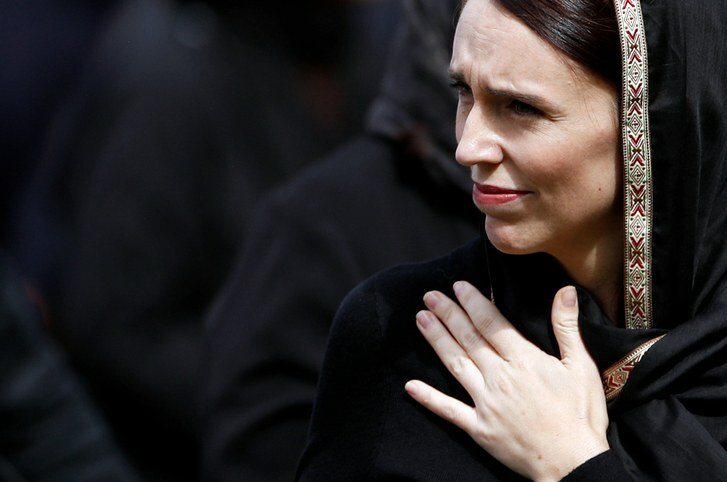 Prime Minister Jacinda Ardern has proven to be the only light in a very dark world. While USA, UK, Europe, Russia and Australia are swept by nationalism and trumpism, a dividing leadership which is hardly able to articulate a single sentence without blaming, hating and promoting White Supremacy. In the wake of these ridiculously uninspiring right-wing leaders from the likes of Donald Trump (Republican), Theresa May (Conservative), Scott Morrison (Liberal), Benjamin Netanyahu (National Liberal), Vladimir Putin (KGB) and Kim Jong-un (Psycho), it is heart-warming and inspiring to see Jacinda Ardern the NZ Prime Minister shining above all, wowing the world with her response to the Christchurch terror attack. With such an honest and loving personality, Jacinda’s reaction is uniting, accepting cultural diversity and it sends a clear message against racism of any kind. Her empathy and human reaction is not only showing how a true leader should behave, it is also alarmingly reminding us how rare this behavior is among national leaders, while this is what we should expect from each and every head of state – to bring us all together and unite us. We need more leaders like her. Why is it so rare to find among human beings? New Zealand is a unique place, with only 5 million people from 200 recorded ethnic groups and a range of cultures and religions. What’s interesting is that while the British occupiers came to Australia and attempted to demolish the local Aboriginal people and their culture, at around the same time the British occupiers in NZ signed the Treaty of Waitangi – an agreement between representatives of the British Crown and more than 500 Māori chiefs – and since then the ‘white people’ had lived in harmony and diversity with the local indigenous people. So who do you think is the true leader of the free world? It definitely should be Prime Minister Jacinda Ardern and her legacy.